A wonderful 2 bedroom, 2 bathroom ground floor apartment in the luxury Bolt Head development which sits above the beautiful South Sands beach. Allocated parking for 1 car with additional visitor parking also available. A fantastic holiday rental for those wishing to explore the South Devon area, 2 minutes walk to the South Sands beach with the South Sands hotel offering food and drink throughout the day from a wonderful setting on the beach, open all year. The beach also offers a great beach cafe and watersports hire centre, and half hourly ferry into the centre of Salcombe town, available between Easter break and October half term. A further 10 minute walk takes you to the famous North Sands beach with relaxed dining year round at the Winking Prawn beach restaurant. A 2 minute walk the other direction takes you to the breathtaking National Trust 'Overbecks'. Plenty to keep everyone busy! The property has a wonderfully spacious open plan kitchen/diner/lounge area. The apartment sleeps 4, with 1 kingsize bedroom with ensuite (shower & bath), 1 double bedroom and family bathroom. The property shares beautiful communal gardens with a lovely courtyard area great for relaxing on summer evenings (the apartment opens out into and overlooks the courtyard area). The property is beautifully furnished, with 4K TV, DVD player, Sonos Speaker, broadband / Wifi and phone (external calls charged as extra). Regrettably we can't accept pets or smoking. Please note we operate a changeover day on Fridays. We are open to considering other arrival days however it's not usually available during peak holiday periods, please do contact us / make an enquiry to check before making a booking. We will consider short stays (minimum 3 nights), again please contact us / make an enquiry to check before making a booking. We love to escape here and have amazing family holidays playing on the beach and exploring the South Coast, we hope you will too! To be both in walking distance to the buzzing Salcombe centre yet hidden away just 2 minutes down to one of most beautiful beaches on the south coast is too hard to resist! Salcombe is a year round holiday destination, offering amazing walking, watersports and beach breaks. To find a property in Salcombe just minutes walk from the beach, with spacious living areas and parking is exceptional, we are so pleased to have found the Bolt Head Development. We had a great weekend in Salcombe. The apartment was very comfortable and had everything we needed. Thank you for the welcome milk and biscuits - it made us feel at home straightaway. We had a lovely time. 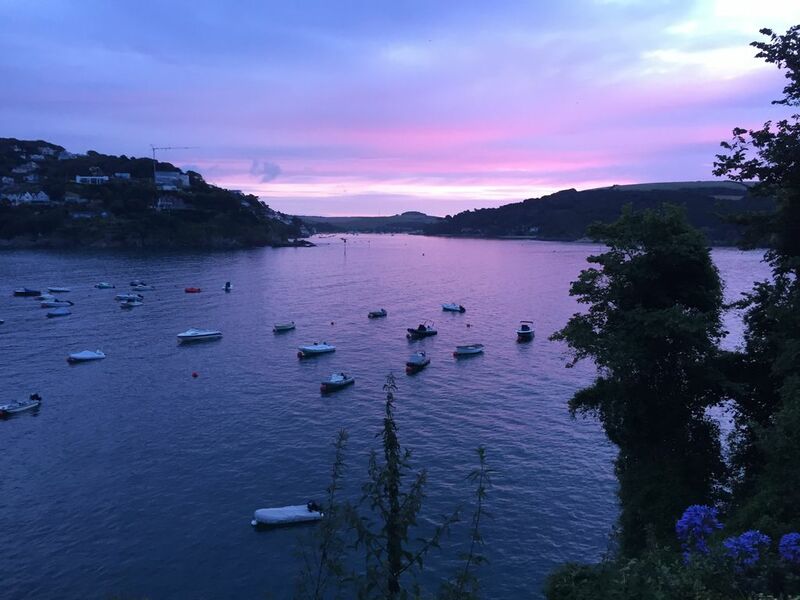 Perfect stay in the beautiful Salcombe! We stayed here for a long weekend, ready to explore the area and were so chuffed with this accomodation find! The location is perfect with amazing views from the front of the building - just a few minutes walk down to South Sands beach where we also enjoyed breakfast at the gorgeous hotel one day, after an early morning swim in the sea! The walk from there to Salcombe centre is a lovely stroll (approx. 25-30mins) overlooking the coast & Mill Bay across the way. The apartment is in a quiet area and in great distance to all the places you need to get to. It has everything you need for self-catering, and would highly recommend it to anyone. We hope to come back again to visit soon! The Bolt Head apartment was spotlessly clean, well equipped, stylish and extremely comfortable. We enjoyed dining at the nearby South Sands Hotel with its great views. We also loved the walk into Salcombe (about 35 mins) where we found our new favourite place.......Salcombe Gin Distillery!! Unfortunately the apartment let us down by having a strong musty /damp smell which pervaded the atmosphere. We could even smell it on our knitwear when we got home!! Such a shame as the apartment gets top marks otherwise. If we had been visiting in Summer we would also have been disappointed not to have a sea view. The outside space was cramped in a corner of the complex.......not a problem in chilly March, but would be very disappointing in Summer. Thank you for the time you've taken to write your review and provide feedback, we're pleased you enjoyed your stay. We're sorry we weren't aware of your concerns on dampness to be able to address it during your stay, this is something we will certainly look into when we are at the property in the coming weeks. We're also sorry you were not entirely satisfied with the outdoor space, we take our young family throughout the year and find the courtyard area to be great for the children to run around and play freely in whilst feeling secure, we appreciate with a winter visit you don't get sun throughout the day as you do in the summer with it being higher in the sky. Indeed we agree, a sea view would be lovely, we do recognise this and our rates are set in accordance with this. The focus of our apartment is on location to the amazing beach, living space and parking, all in short supply in the lovely Salcombe area! Thank you again for providing feedback, we welcome this to help make improvements to our apartment. We’ve stayed in Salcombe on many occasions but never in south sands , if you don’t mind hill walking then this stay is perfect , the views from the outside space of this small complex are stunning , with plenty of walks right on your door steps , Salcombe certainly has a different feel in the winter months than in summer . But Well worth a visit whatever the time of year . Review descriptions can’t really capture the tranquility and beauty that surrounds Bolt Head developments.Our “home “was all and more than we could have wished for.Elegent,stylish and designed to make you feel special(milk in the fridge and chocolate biscuits on arrival)The owners have thought of everything .The interior design reflects Salcombe and the sea and shouts quality. Although it was a stormy weekend thanks to storm Callum we felt snug and cosy -heating was on demand and ample,Netflix ,plenty of games and reading material meant never not needing to venture far.The access to South Sands hotel and beach is so easy ,just down 1 flight of winding steps .Thank you Nicky for sharing your haven with us It was a birthday weekend where 4 friends enjoyed space and time together - memories made and a little piece of Devon winning our hearts. 3 min walk to South Sands Beach, with hotel/restaurant/bar, beach cafe, sea ferry to town centre. 10 min walk to National Trust Overbecks property. 15 min walk to North Sands Beach, with popular beach cafe/restaurant. 30 min coastal scenic walk to Salcombe town centre with many shops, restaurants etc. Within 20 minute drive - many of the South Coats most popular bays and beaches including Hope Cove, Bantham, Bigbury, South Milton and many wonderful towns to visit.